Chandrayaan 2 will carry laser instruments that are owned by NASA. The laser retroreflector arrays will help the scientists to take precise measurements of the distance to the Moon. Chandrayaan-2 is India's second moon mission which will be launched in April. 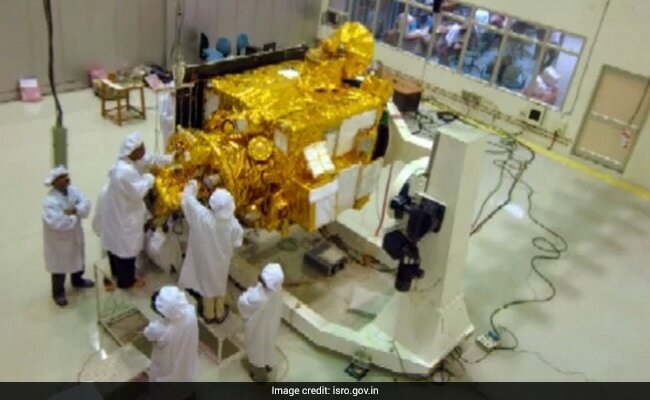 Chandrayaan-2 will carry laser instruments that are owned by NASA. The laser retroreflector arrays will help the scientists to take precise measurements of the distance to the Moon. The entire surface will be populated with as many laser reflector arrays as possible, according to US space agency offcials. Besides Chandrayaan 2, the laser instruments will also be flying to the Moon aboard the Israeli lander Beresheet, which is due to touch down April 11. What are rertroreflectors - NASA's laser instruments that Chandrayaan 2 will carry? Retroreflectors are essentially sophisticated mirrors. Scientists on Earth can shoot them with lasers and study the light that is reflected back. That signal can help pinpoint precisely where the lander is, which scientists can use to calculate its - and the Moon's -- distance from Earth. Chandrayaan-2, the moon mission costing nearly Rs 800 crore, is an advanced version of the previous Chandrayaan-1 mission about 10 years ago. The aim of the mission would be to conduct experiments on the moon and relay crucial information back to earth by placing a rover on the south pole of the moon. In Chandrayaan - 2 Mission, a 3,890-kg Chandrayaan-2 spacecraft will orbit around the Moon to study its conditions and collect data of its topography, mineralogy and exosphere. It will be launched onboard its biggest rocket, the Geosynchronous Satellite Launch Vehicle Mark III (GSLV Mk III), to send the astronauts into space from the Sriharikota space port in Andhra Pradesh. The maiden mission Chandrayaan-1 was launched on October 22, 2008 from Sriharikota in Andhra Pradesh.